A few years back, I was having a beer and a yak with an old mate of mine who’s into his classic cars. He put forward the theory that there was a definite build-date point in time, after which cars would simply cease to appeal to blokes like us. His theory was that cars built after that point would simply not be restorable, in either a financial or practical sense and that, he reckoned, would be that. That point in history? Somewhere around the 80s or 90s, when most manufacturers had switched to injection moulding for everything from bumper bars to interior fittings. From then on, my mate’s theory went, it would not be possible to recreate those often-mangled parts. A skilled ding-beater, he reasoned, could always fix or reproduce a metal bumper bar with materials and techniques a Roman soldier would recognise. But small-time restorers like those of us who read UC would never have the funds nor the expertise to repro those plastic injection-moulded bits and pieces. And therefore, he continued, the whole car would be scrapped, regardless of what other merits it possessed. Thankfully, he turned out to be wrong. Where did he go wrong? Not his fault, but he didn’t foresee the advent of 3D printing. I saw a story on the idiot-box last night where good old CSIRO in Australia had 3D printed a titanium sternum for insertion into the chest of some poor bloke half a world away who needed it to stop his ribs flapping about. Somehow, these geniuses in white coats took powdered titanium and simultaneously shot and melted the dust with an electron beam as it built up the layers on the printer. I think. Look, I struggle with a timing-light, so I’m not going to pretend I know how 3D printing works. The point being that Spanish Matey now has a titanium breast-plate with an Australian compliance plate. And believe me, if the medical world is happy to bolt 3D-printed spare parts into humans, I’m perfectly okay with having a replacement dash-pad made the same way. 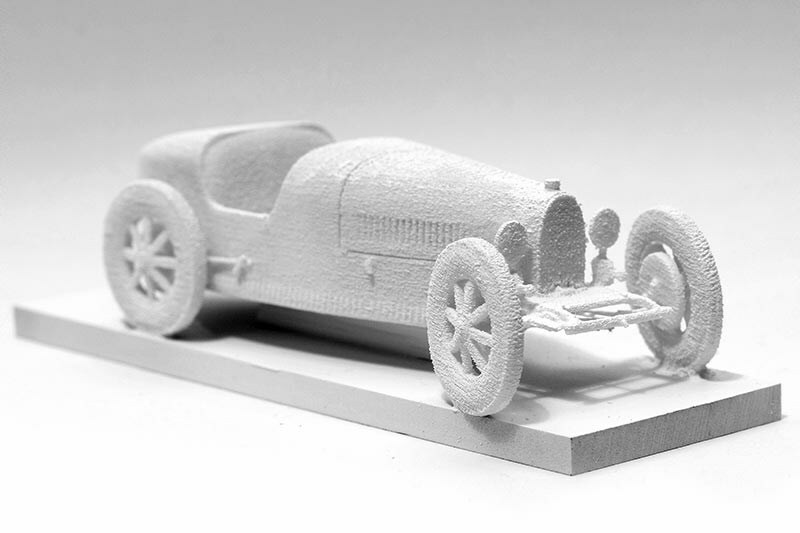 In fact, it’s already happening, I had lunch with fellow UC contributor Jon Faine the other day who told me about a car project he’s involved with that is using 3D printing to make casting moulds for major, ancient, unobtainable engine parts. I won’t steal his thunder, but you could see by the way his eyes lit up telling me about it, that this is the way forward. In a few years from now, I reckon this stuff will be common practice. You’ll go to a website, pay your money to download the program for the dashboard, door handle, bumper bar, whatever it is you need, and then email that program to your local 3D jobbing shop where it’ll be printed, ready to be picked up the next day. In the material of your choice. Who knows, maybe you’ll be able to recreate a plastic bumper in steel. Which would, of course, mean my old naysaying mate was right all along. Kind of. In 1975 I went to Perth to buy a car and ended up at Avery and Love, Beaufort Street. Looking back now it was muscle-car heaven as one walked passed XU1s, GTSs and vans. Spared a glance for the Starlight Blue Phase 2 HO; no test drive, as someone had flogged the three-inch tailshaft, but at $4200 it looked good value. I ended up with a Limelight VJ E48 Charger with ROH Pro-Sprint rims with Big Boss 60s, dual exhausts and Falcon GT tips. For 18 months I ruled my neck of the woods; nothing could touch it in a straight line. Fast forward, 40 years, car long gone. The twin-plate clutch proved too heavy for my girlfriend. But I got rid of the wrong one as I found out 30 years later to my cost. But the sound of that six-pack engine with its Weber induction noise has stayed with me. Six years ago, I started my quest to build an E49 replica. We (my son and I) had a barn-find moment at Hyden, lifting a tarp to find a Mercury Silver VH XL 265, three-speed that had done only 66,000km. I have nearly all the good gear to make it a RT replica including a D354 engine, genuine E49 carbs and manifold, four-speed, dash, driving lights and loom etc. Then I look at the charger wefound with its W36 sport rims and blue upholstery and know as soon as I pick up the welder something will be lost. I guess there would be three areas of modification, the radiator support to fit the four-inch atmospheric heat shield, the weld for the rear brake proportioning valve and the floor pan to fit the four-speed hump. 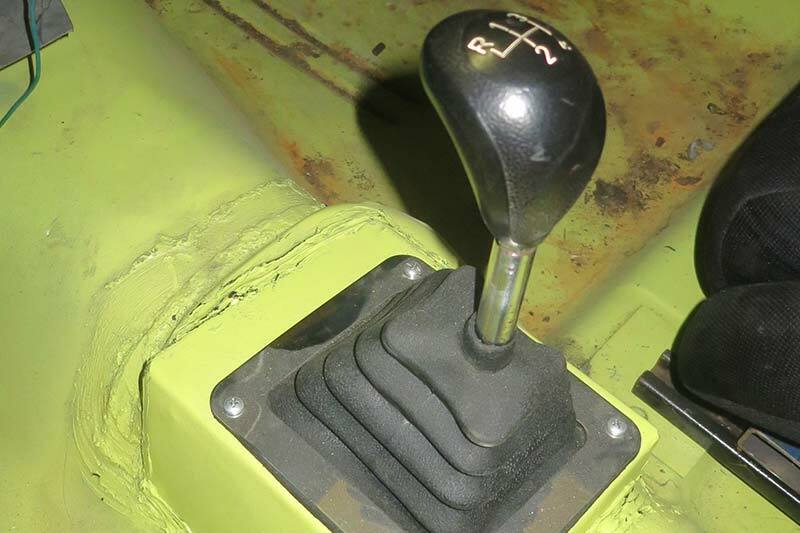 How big a hole is needed to fit a four-speed into a three-speed car? Anyway, I thought I would go in with my eyes wide open, appreciate your input. Ah, Terry, how many blokes have sold cars in an attempt to keep the peace at home, only to discover it’s not the car they should have unloaded? But at least you seem to be having a good crack at this second-time-around deal, and what a great father-and-son project. 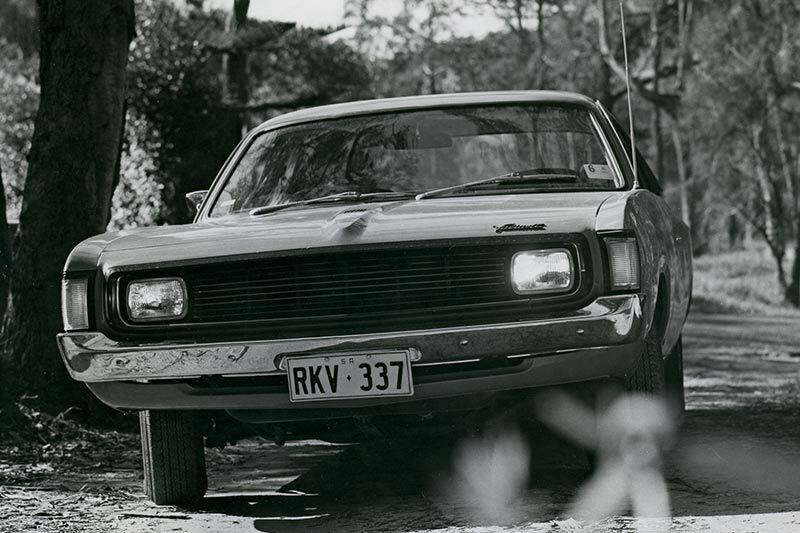 Was there ever a tougher looking Aussie-made car than the early Charger? I don’t believe so. Which is why, for the last decade or so, my workshop has been making space for a Limelight VH. Unlike your current project, however, mine was started with a view to building a tarmac rally car. 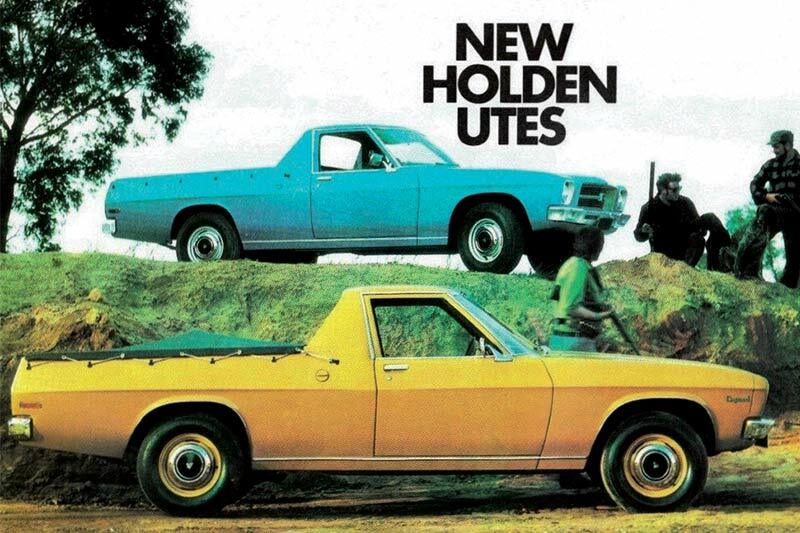 By the time I realised the thing would never be made to handle well enough to satisfy me, the stock 245 had been replaced by a pretty wild 265 and the three-speed was gone and in its place sat a single-rail four-speed. Yes, I could have fitted a T5 five-speed or something more modern but, like you, I didn’t want to throw away the essence of the 70s that this car represents. The other thing I realised after a while was that good, clean, original Chargers were suddenly too cool to cut up, which I gather is your concern now. In the case of my car, that’d mean pulling out the modern race seats and refitting the tombstone buckets (which need a re-trim) and scuttling any plans for race dashboards, roll-cages and El Swisho paint jobs. Luckily, the changes I did make were all aimed at producing a period-correct tarmac-rally car, so the 265 and four-speed can stay. The point is, I wouldn’t be at all worried about changing something, especially if it can be easily returned to standard. As for welding the brake proportioning valve in place, I say go for it. Just bear in mind that some jackoff will probably tell you that you used the wrong grade of welding wire (or some such nonsense). Feel free to punch him. And give him one for me. As for the cut-and-shut on the trans tunnel to accept the four-speed, you’re in luck, because that’s exactly the conversion I carried out. An interstate buddy of mine bought three single-rail gearboxes online and did a deal with me where I’d pick them up (they were in my home state) and deliver one to him and keep two for myself. And while I was doing the pick-up, I got even luckier, because the bloke selling them threw in the exact bit of trans tunnel that I needed to complete the conversion on my car. After you’ve cut away the minimum amount of metal (and it’s not a whole lot) to get the single-rail shifter into the cabin, you simply weld the new hump into place. The hump creates a cubby-house for the linkage housing which is in a different (lower) spot on the three-speed box. I even smeared a trail of body-deadener around the weld on mine (because it was going to have a bare floor) and painted the repaired section Limelight. It actually looks pretty factory, I reckon. And here’s a picture. The biggest catch is you’ll need a new front carpet section (or one of those too-cool-for-school coffin-shaped centre consoles) as the hump radically changes the shape of the tunnel. Make sure you specify the gearbox type when you order the carpet. I am having problems at the moment that I hope you can help me with. I have put a ’92 model XR8 engine in my ’70 model Mustang. The problem I have is header clearance with the starter motor. Also, I have a right-hand-drive conversion with rack and pinion which doesn’t leave much clearance between the engine and shocky tower. Any ideas? However, you’re not the first bloke to come up against this sort of thing, and I’ve heard of a variety of solutions including starter motors with an offset for better clearance and a type of exhaust manifold called a block-hugger which, as the name suggests, keeps the header pipes in tight against the block for maintaining clearance. Sometimes a particular engine swap is so popular, header makers will engineer an off-the-shelf set to successfully mate two previous strangers (sounds like a crap reality TV show, yes?) But I also recall fitting the headers to my hillclimb project car recently, and noticing that one primary pipe ran reasonably close to the starter-motor and that the people who had made the headers, Pacemaker, had clearly thought this through and routed the primary in such a way that it still flowed the maximum amount but gave me just enough clearance to get the starter-motor in and out if I needed to. So I figured the brains trust at Pacemaker might have a solution for you. I called Pacemaker’s tech guru, Mike, to find out what gives. According to Mike, who has an absolutely encyclopaedic knowledge of what widget fits with what thingamy and when the metric jigger was introduced, your problem is multi-layered. For a start, just because you’ve used all Ford parts, doesn’t mean you’re still dealing with a car Ford would recognise. "You can take a running board from a Model T and a tailgate from an XP Ute and put them on a car. But you don’t have a Ford anymore," is how Mike puts it. "Also, the Mustang is its own animal. People think they’re just American Falcons, but they’re not. 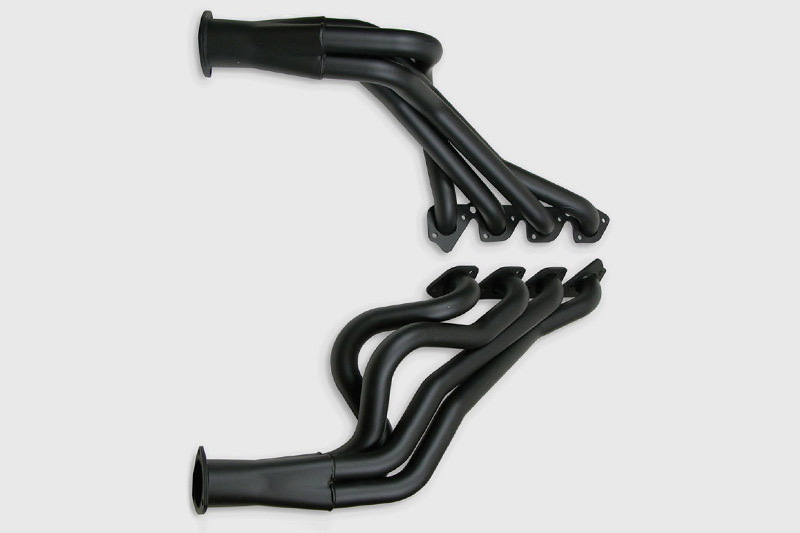 In all the hundreds of applications we do, the Mustang is the only one where the headers don’t point straight at the back of the car; they’re actually offset a little." Mike reckons your biggest problem is that the five-litre V8 you’ve used has the starter motor on the passenger’s side. Clevelands and earlier Windsors had the starter on the driver’s side, but at some point before 1992, it was switched. And that’s your big problem because as far as Mike knows, nobody (Pacemaker included) makes a specific left-hand header for a late Windsor into a 1970 Mustang. By definition, that means your choices come down to two: You can try to cut and shut the headers you have to offset the collector or make more space some other way or, you can have a set of custom headers made specifically for the job. Actually, there’s a third solution: You could re-fit the cast-iron factory exhaust manifolds and sacrifice a few horsepower for an easier, simpler life. Either way, it’s not as simple as I’m sure it all sounded in the pub when the plan for an injected V8 into a Mustang was hatched. But don’t give up. And send us a photo when it’s done. Meantime, anybody else out there carried out this same conversion? What was your solution to header clearance? What’s the magic part number, if one exists? I was reading an article on tyres recently which suggested that tyres should be replaced after five years irrespective of kilometres done as they will deteriorate. I think it was sponsored by a tyre company, so there is a fair chance that it may have been a little bit, but maybe not much, biased. Having said that it begs the question, particularly for classic car owners like myself, who keep their pride and joy in the shed until such time as there is no rain, it’s not too cold, not too hot, not too dusty but just right to go for a drive, Goldilocks. I ducked up to the shed to check out the rubber on my classic and sure enough they’re 12 years old and my records show they’ve done less than 10,000km in that time. I then realised that the spare, which is on a different sized wheel, is even older - in fact it was on the car in 1982 when I bought it and remained a spare when I upgraded the wheels and tyres. That makes it at least 35 years old! The manufacture date is shown on the tyre and I also noted the small splits in the side of the tyre so I’ll be replacing the tyres, all five, very shortly. As we all know, the tyres tend to be pretty important being our link to the road surface and as many classics do very few kilometres there is a fair chance that as long as the tyres are still holding air we don’t think too much about them. Factors which will influence the life of tyres will include how the car is driven, whether the tyres are in sunlight, tyre pressures and whether or not tyres have been damaged and, of course, just pure age. So what say you and your learned colleagues? 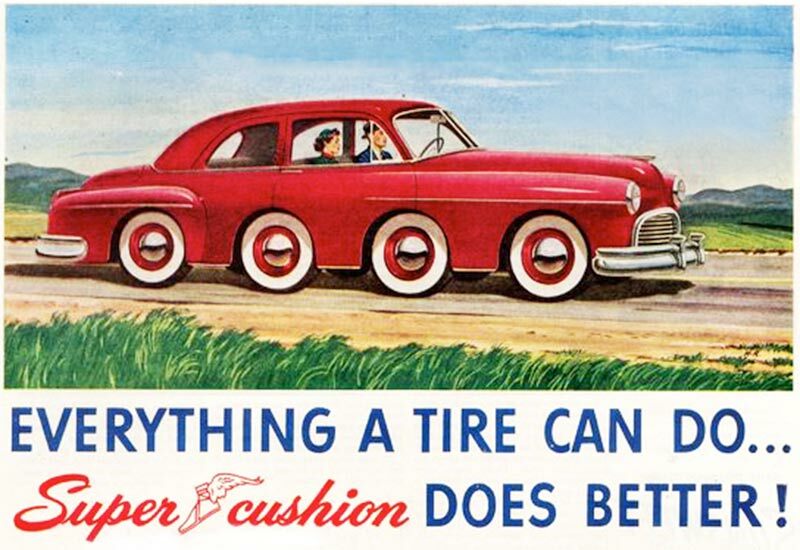 A good one for discussion over a beer or two perhaps: At what age should we consider replacing our classic car’s tyres? You’ve raised a very good point, Laurie, and I reckon it’s one that is very often overlooked. As you point out, while ever our tyres are holding air, we generally don’t give them a second thought. But you’re bang on the money with the observation that a lot of classics don’t do many miles, so tread wear isn’t always an issue, even though the tyre is past its use-by date. We’re conditioned to judge a tyre’s worthiness by the state of the tread because that’s what’s been drummed into us over the years. But just as there are many drivers who believe that if they don’t drink-drive and don’t speed, they won’t be hurt in a car crash (‘cos that’s what the government has been telling them for 30 years) judging a tyre purely on its tread condition is a mistake. I asked a tyre industry specialist from a major brand about this, and he told me that the general consensus right now is that sometime around the five-year mark is when you should start looking at your tyres with a view to replacing them. He reckons the five-year warranty his company applies to brand-new tyres is based on that very premise. The factors that cause a tyre to degrade include exposure to sunlight, ozone and moisture (among others) so if your car has been dry-stored in a dark place, never driven in the rain and not parked at the beach too often, its tyres could well be in better nick than a daily-driver’s tyres of the same age. Even so, my man reckons your tyres at 12 years old are really due to be replaced. 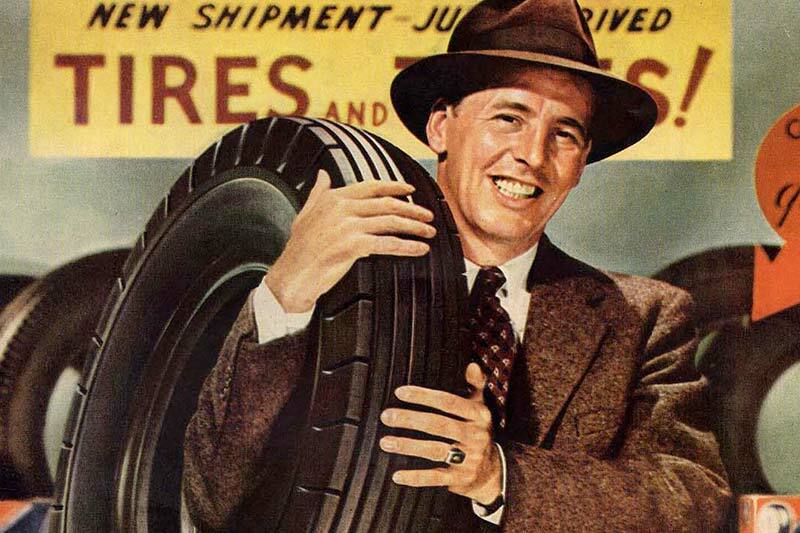 That’s why you can be confident that a brand-new tyre from a reputable distributor will still be good for the full five years even though it might have been manufactured a couple of years earlier than the date you buy it. It will have been stored properly, and that’s what really matters. The other thing to note is that the signs we associate with ageing – cracking and crazing – aren’t always the only factors. And some things like moisture ingress (which will eventually cause the steel belts to rust) can be totally invisible. Apparently, one of the biggest causes of tyre failure occurs when four-wheel-drive owners fit their ancient spare tyre – you know, the 15-year-old one that is bolted to the back door in rain, hail and shine – and belt down the freeway for a couple of hours. And that, apparently, is when you’ll see delamination, flung treads and a four-wheel-drive parked in the scrub at the edge of the road, waiting for a tow-truck. And yeah, don’t forget about the spare tyre. 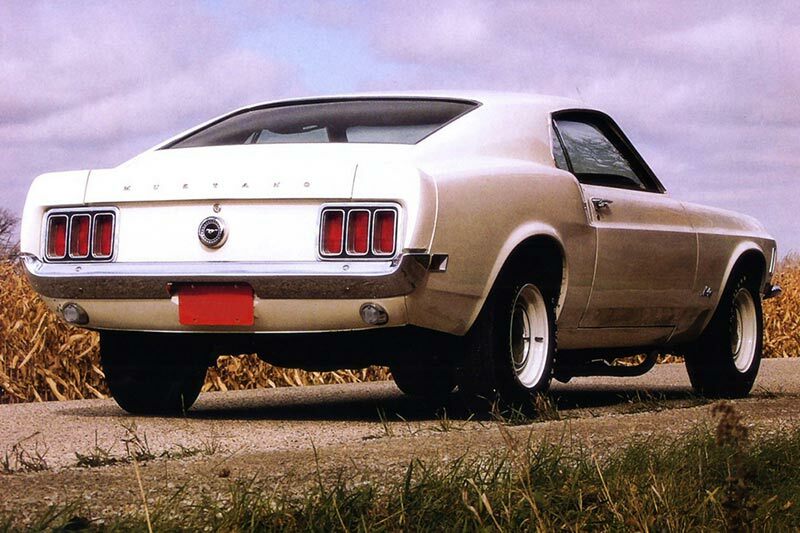 How many times have you seen classic cars with radials on nice shiny rims and the filthy old original cross-ply spare on a steelie in the boot? Plenty, I’m tipping. Oh, and you do check your tyre pressures every month, right? And while we’re on the subject, when was the last time you replaced the engine coolant or the brake fluid? High-maintenance these motor cars. The reference to two-stroke diesels in issue 397 took me back to an incident that occurred a number of years ago. A bus I was on fitted with a Screaming Jimmy (GM two-stroke) got stuck in some bush. As the driver attempted to get the thing unstuck, the engine stalled and when he went to restart it, huge clouds of white smoke came out of the back. No one present at the time knew what was happening but I later found out the engine had started running backwards. It was later hauled out of the bush by a fire truck. It started quite happily and drove off. 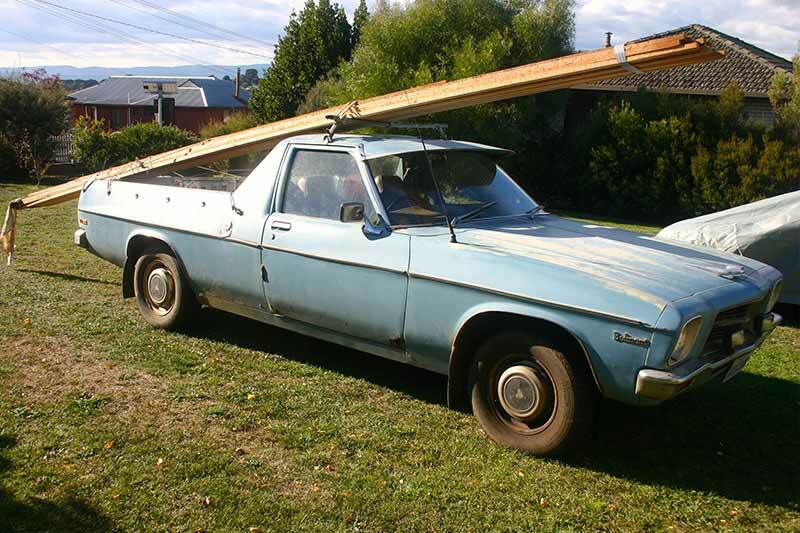 Meantime, I’ve attached a photo of my HQ ute I call Elmo (the` B’ and `NT’ were broken off the badge at some stage). I’ve had it for over 20 years but it has only been garaged in the past five or so. As a result it wears a bit of rust. I don’t take it out if it’s raining now as the water runs down the windscreen, over the electricals, my feet and through the holes I’ve drilled in the floor. She’s a workhorse, but I treat her with the respect she deserves. It has the original 173 motor, three on the tree, but I have changed the diff. The bonnet mascot’s off a FC-FE. There was one on it when I bought her, but the old guy kept it as it was off the first car he ever owned. It looked so good (and there were holes in the bonnet) I sourced another one from a wrecker. Probably worth more than the whole car now! The wood she’s carrying is for an aeroplane I’m building. It uses an A Model Ford motor which I’ve recently had reconditioned. Replaced the babbit bearings with inserts, new pistons, rods etc, etc. You know what David? I’m absolutely amazed at the number of people who share my enthusiasm for the noise made by a two-stroke diesel. It was almost a throw-away line when I casually mentioned it a couple of issues ago, but the subject has really struck a chord with many of you lot. As a result I’m learning heaps about these fabulous old monsters. Now, I hadn’t heard about the things running backwards until about a month or so ago, either. But Eric Waples up in NSW – who’s a serial contributor to this column – pointed out that the GM two-strokes were not only an early modular form of engine (they could be built to a variety of capacities and layouts by using the same pistons and rods and such) they were also what Eric called `symmetrical’ meaning they’d turn over and, presumably, run backwards or forwards. Seems like he’s right based on your experience. Your soggy HQ experience mirrors mine, too, David. The last road-registered HQ I had was a wagon which was either rusted out in the plenum or had all its plenum drain-holes bunged up with dead leaves and possum tuds. Or both. Park it in the rain overnight and the first time you accelerated, about 20 litres of possumy-smelling water would slosh out from under the dash and even out the air vents. In desperation, I kept a dedicated pair of gum boots in the car for wet mornings. Like your HQ, a series of strategically placed holes in the floor sorted things out by the first traffic light, but not before you’d been drenched from the waist down. Now as for this aeroplane idea: Have you really thought this through. I’m all for a bloke following his dreams, but a Model A engine in a flying machine? And that’s before we even get to the bit about making it from wood. Again, I’m not trying to discourage you, but I’ve never seen a tree fly. I’m thinking there are probably a thousand more powerful, lighter, and more reliable engines out there to choose from. So what’s driving the ancient-Ford decision? And fergawdsake send us a pic or two as work progresses. From what I can gather, a popular engine choice for home-made goony-birds is (or was) the humble Volkswagen air-cooled four-banger. It’s light, easy enough to twin-plug and, provided you don’t tune it beyond the limits of sanity, it’s reliable... something that’s pretty important in the aeroplane world, I’m told. 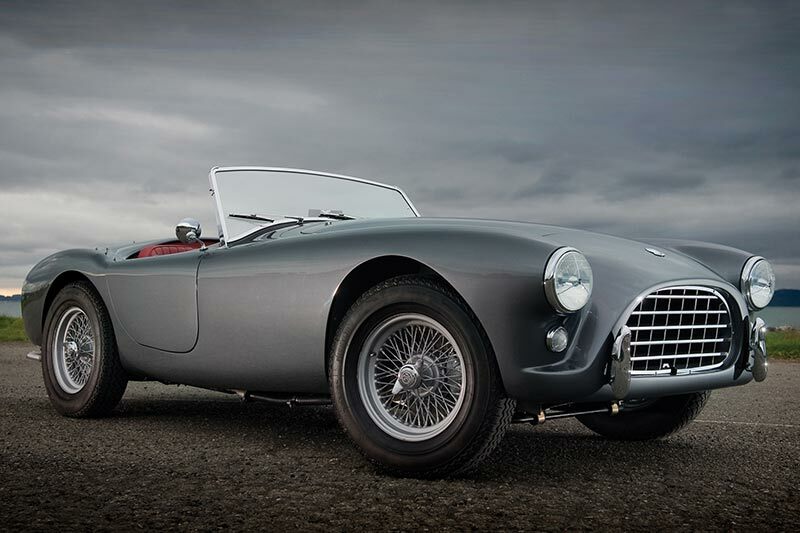 Many of us know the classic story of Carroll Shelby taking an AC sports car, dropping a Ford V8 into it and creating the legendary Shelby Cobra. But there’s a bit of a back-story, too, on why the AC Ace was chosen. See, Carroll was no dummy and was an astute businessman as well as a great designer. So when AC lost its engine-supply contract from Bristol (Bristol stopped building its six-cylinder engine in 1961) it wound up with all these AC bodies lying around with no engines for them. Enter C Shelby with a cheque-book and an eye for a bargain. Don’t know what he paid for the bodies, but you can bet it wasn’t full retail. Blokes banging on about how efficient the engines of their new cars are can be well wide of the mark. Even modern petrol engines struggle to top 20 or 25 per cent thermal efficiency. Diesels can achieve roughly 40 per cent and a new petrol engine design from Toyota in 2014 achieved 38 per cent thermal efficiency. But get this, way back in 1946, the PS Waverley paddle-boat used an engine that was good for 35 per cent efficiency as it splashed between various bits of Scotland. And what sort of engine did it have? 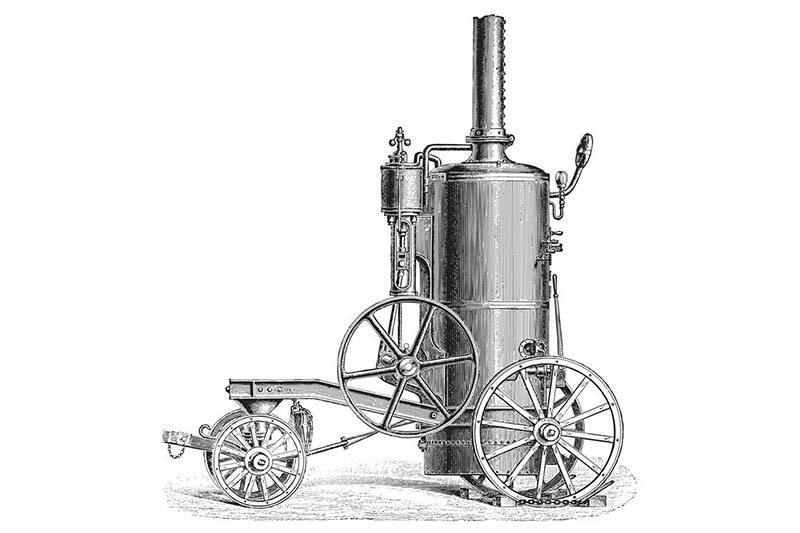 A triple-expansion steam engine. Save that one for the pub. I started to think about the tools I used most often. 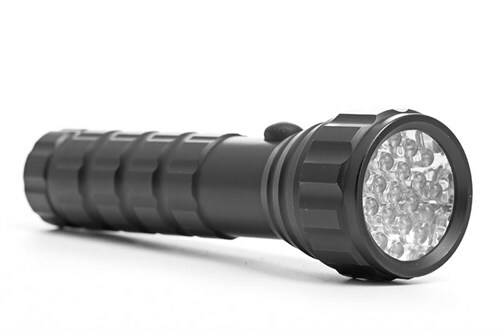 And the one that comes to the front of the queue; the one gadget I use on pretty much every job is – drum roll please – the torch. No, not the gas-axe, the good old fashioned beam of light. It’s not that my workshop is dark, but when you’re beavering away, elbows-deep in the guts of something or other, being able to see is kind of fundamental to not welding across fuel lines or drilling holes in your own fingers. So I have all kinds of torches, normal stand-up ones, magnetic ones and even one that straps to my scone so it looks where I’m looking. A mate turned up the other day with a pair of reading glasses with two little bright LEDs built into the frames. Gotta have a pair of those now.